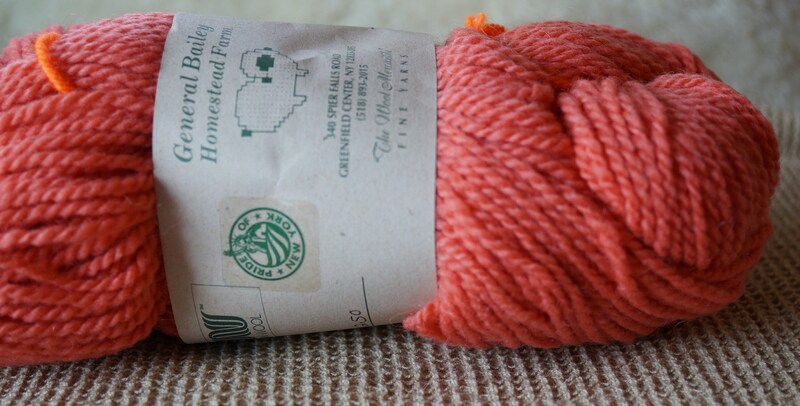 CORAL 2 ply worsted weight kettle dyed yarn from our American farm. Shown in third photo is solid coral. which coordinated with CORAL & STONE yarn. Wool is Merino, Romney and Tunis X down wools. Very soft! FREE SHIPPING lower 48. I shear our sheep in the Spring, wash the wool then bring it to Green Mountain Spinnery in VT to have it spun into yarn. 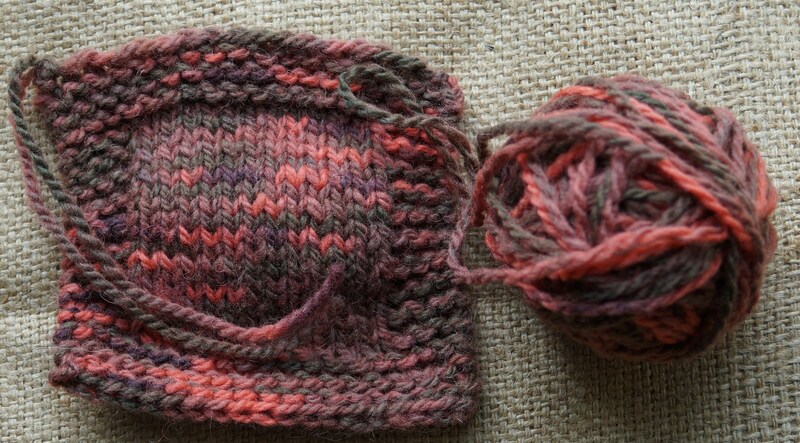 When it is finished, I dye the yarn then wash it again. Now it's ready for you to work with.